Intimidate Lowers the foe's Attack stat. This Pokemon lowers the enemy's Attack one level when it enters battle. Sand Rush This Pokémon's Speed is doubled during a sandstorm. 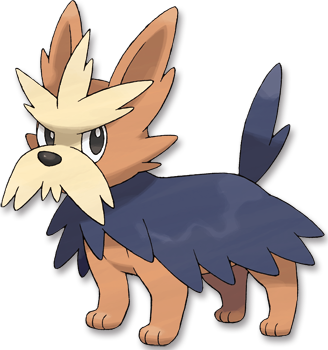 Scrappy* Enables moves to hit Ghost-type foes. This Pokemon can hit Ghost Pokemon with Normal and Fighting moves. Black It has black, cape-like fur that is very hard and decreases the amount of damage it receives. White It loyally follows its Trainer's orders. For ages, they have helped Trainers raise Pok�mon.